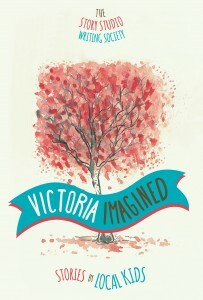 Victoria Imagined was born from a wonderful collaboration with FriesenPress, who sponsored its publication. The Story Studio worked with ten grade 4/5 classrooms in inner city schools throughout Greater Victoria to compile this anthology offering students a way to tell their stories and have them heard. These authentic tales offer a chance to meet the young authors and feel their energy and their minds as they stroll through the streets of Victoria. Please enjoy this magical journey through the streets, parks, and waters of Victoria, British Columbia, where the imaginations of these talented, young authors embark on adventures of their own.